Do you use Google Classroom? 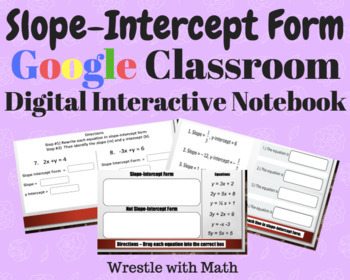 This Digital Interactive Notebook is the perfect new addition to your Google library. 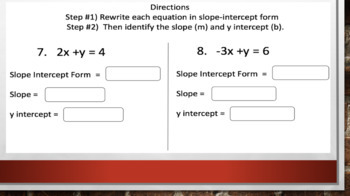 Your students will enjoy navigating through pages and typing in answers to a variety of interactive problems. What is a Digital Interactive Notebook? - Digital interactive notebooks (Digital INBs) are virtual notes pages that students use to organize their class notes. Instead of using paper, glue, scissors and other supplies, all you need is access to a computer, the internet, and the right software. 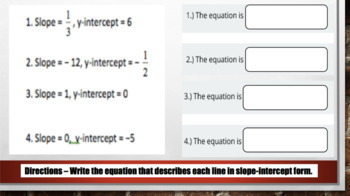 A variety of practice problems are embedded into this digital interactive notebook. This product can be used in so many ways! 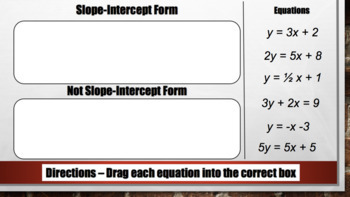 I personally use this digital interactive notebook with 8th-grade students.